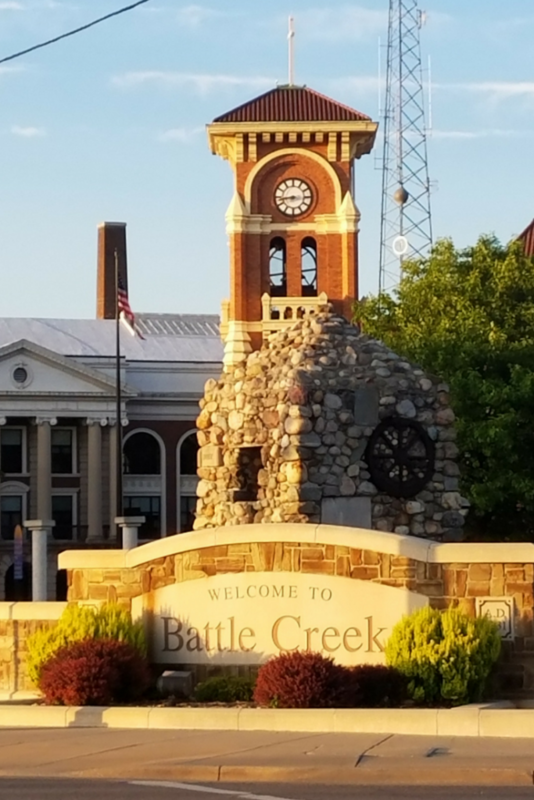 In summer 2016, when we first drove through the city of Battle Creek, Michigan, I knew it would be our hometown sooner rather than later. There was just something about this little city that reeled me in and kept me here. After driving all over the region for two weeks, we came back here and made it our home. As a result, I wanted to share with you some of the amazing things in this city that I have found over the last few years living here. This post does contain affiliate links. I earn a small commission on purchases made through these links. 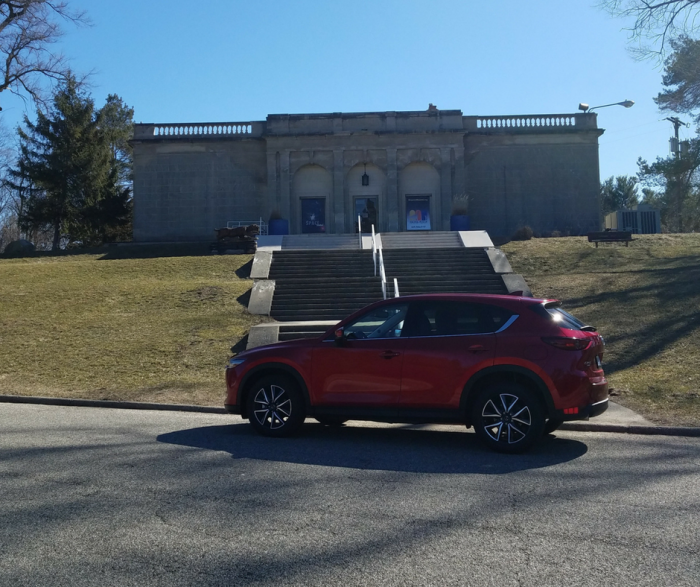 We were given the chance to review and drive the 2018 Mazda CX-5 Grand Touring for a few weeks back in March. This sponsored review of their latest model was in exchange for a chance to test out the vehicle. 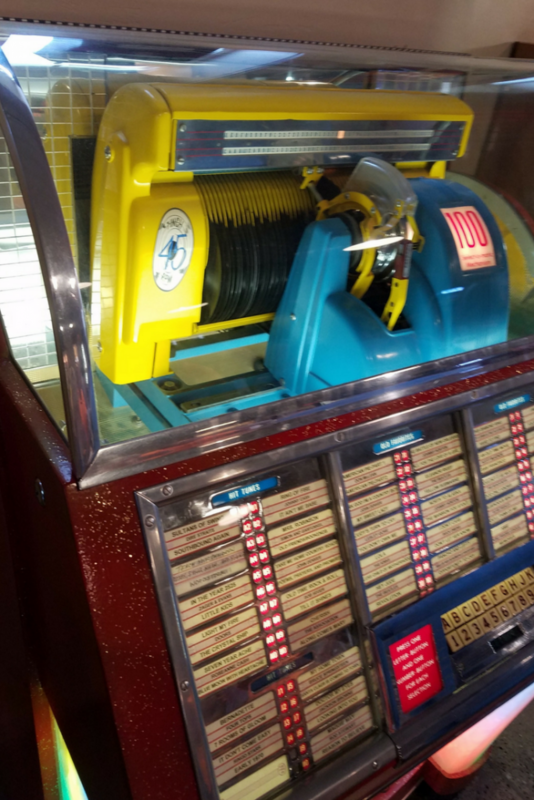 I chose to spend that time checking out more in our local area that I knew would be perfect for sharing with our friends who have an interest in visiting Michigan for a vacation, and want the small town feel that we love. 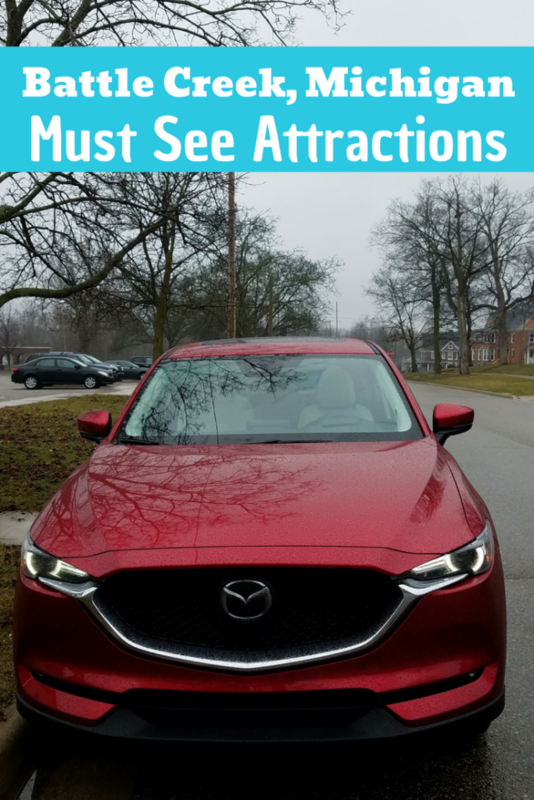 We spent many hours tooling around town in the 2018 Mazda CX-5 Grand Touring enjoying some of our favorite local attractions, and taking in a few more that we wanted to view and share with you. The luxury crossover vehicle gives you all of the comfort you want in a price point you can afford. Definitely, a vehicle that is ideal for family travel, as well as a daily commute to work. Taking your vacation to the region in the 2018 Mazda CX-5 Grand Touring will give you and your family all the comfort you could want. Roomy back seats with our son’s favorite option of heated seats and the fun addition of a heated steering wheel made it an upgrade on our regular ride. Driving around in our city, we averaged 27 miles per gallon but read it averages 25 in the city and up to 30 on the highway. That made it a ride we could enjoy as well as know my Beau could take as a commuter vehicle for comfort while still staying within his gas budget. One of the first places we checked out when we moved here was the Leila Arboretum. While it may not seem like much from the outside, it houses some amazing attractions. With the fantasy forest front and center, you can see the amazing creations of local artisans in the city as well as around the state. There are walking and jogging trails, a nursery that also houses a small farmers market during the summer, and the Kingman Museum. During the summer months, there are often concerts, events, weddings, and receptions held in the Leila Arboretum. This includes the annual Leilapalooza Music Festival that brings in both local and nationally known artists for amazing music and food! 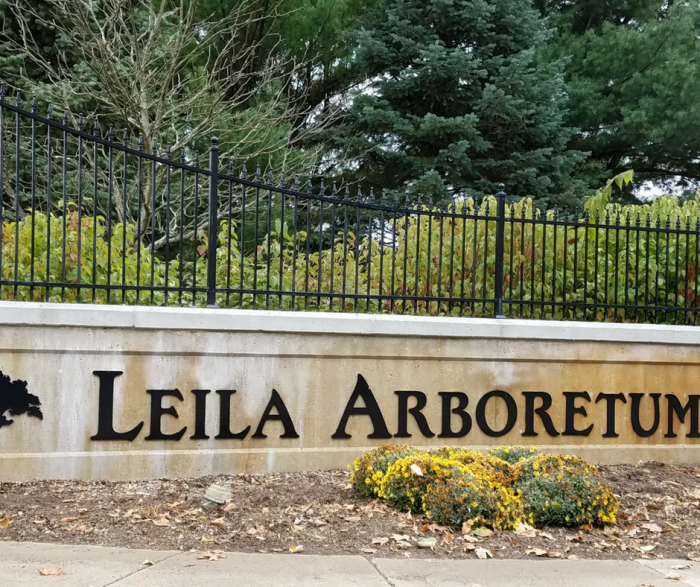 The Leila Arboretum is free to visit, but some events may have a fee. If you haven’t visited the Kingman Museum yet, it’s a great break from the summer heat on a weekend. They have limited operating hours, but they are a great place to go for more science, natural history, and even space exhibits. It’s just a fun place to spend a few hours, and perfect for those who are also homeschooling and want to include a bit of a field trip into their time in what is also known as the Cereal City. Saturday and Sunday now feature free admission, with the exception of the $2 Planetarium fee. It’s an ideal option for those on a budget! Every family vacation includes a trip to a zoo, and Binder Park Zoo in Battle Creek, Michigan is well worth a visit. Small by some standards, it still houses a ton of amazing animals and exhibits to teach your children. We love that it is a smaller location and while we know it doesn’t compare to our favorite San Diego Zoo, it is still a great little zoo for a smaller region. Did you know that the Seventh Day Adventist faith began here in Battle Creek, Michigan? Right alongside Kellogg’s brand of products is the Seventh Day Adventist faith. Dr. Kellogg who began the popularity of cereal with Corn Flakes was also an Adventist who practiced in the local community. Downtown houses what is now called the Historic Adventist Village. You can walk through older homes, and see the church and area it all began. If you are interested in the faith, you can also visit a local cemetery where Ellen G. White an author and well-known member of the Seventh Day Adventist faith is buried alongside her husband. If you want to take the kids to a park to run off some energy, or want to take in a local baseball game over the weekend, head over to Bailey Park off Capital Avenue. This park is a beautiful area alongside the Battle Creek that has multiple playgrounds and is a hot spot for activity on the weekends with baseball games on the schedule throughout the summer months. 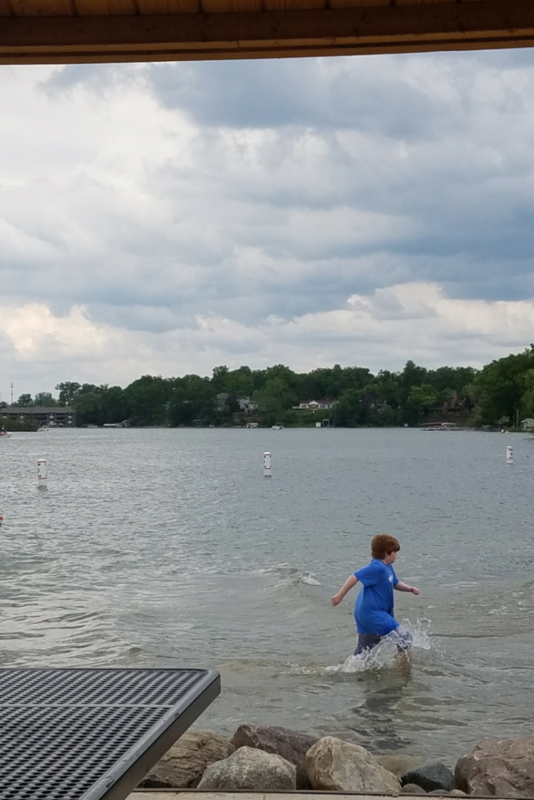 Whether you dine at Pasche’s on the Lake and enjoy a Cajun or barbecue dinner on their deck overlooking Gull Lake, or you head over to the Willard Beach to swim with your family, this is a hot spot in the summer. Gull Lake is a clean, beautiful lake that has multiple places for swimming, fishing, kayaking, or riding on boats for tubing or water skiing during warmer months. This historic Kimball House Museum situated just down the road from the local YMCA on Capital Avenue in Battle Creek is a great place to visit and learn more about the community. The home was owned by three generations of Kimball’s and was eventually donated to the city to be used as a museum. This is just a fun little spot to learn more about the community while taking in a beautifully restored home featuring 14 rooms and an elegant period of time during the early years of the city. One of my favorite places to visit during the summer is the Battle Creek Farmer’s Market in downtown. 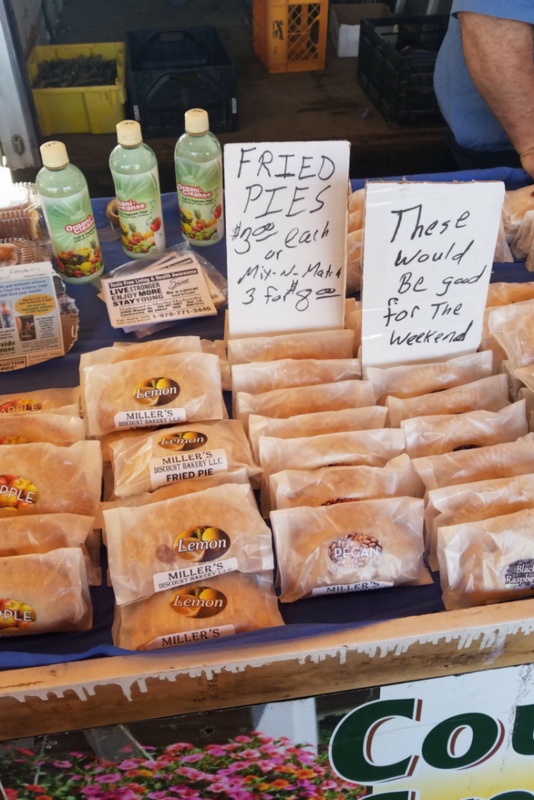 Every Wednesday and Saturday morning, you can show up to find locally grown produce, fresh farm raised meats, free-range eggs, organic items, and my favorites, the local food trucks. From fresh baked donuts and cakes to the local Japanese noodle truck, there is something on hand every Wednesday for lunches downtown. On weekends there tend to be more produce booths and locally grown or made foods, but you also have a chance once a month throughout the summer to hang out at the Food Truck Friday events that give you a reason to try out new foods! 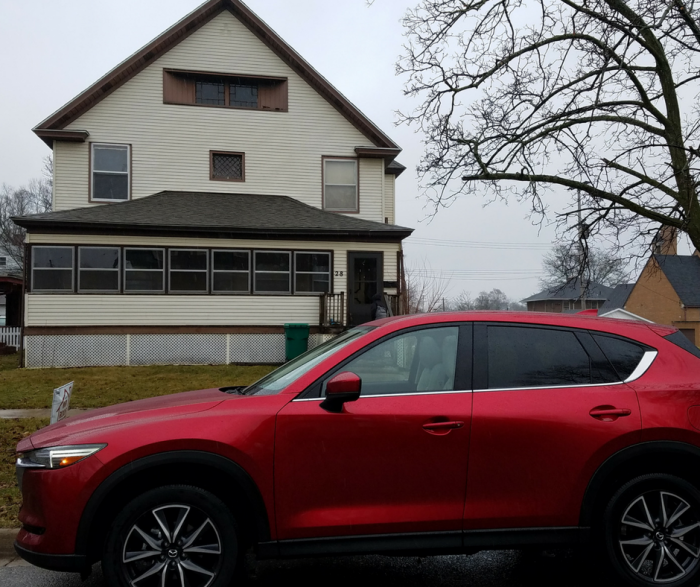 We loved heading over on the opening weekend and filling up the large cargo space in the2018 Mazda CX-5 Grand Touring with our favorite veggies, freshly made loaves of bread, pasty’s, and even some fresh flowers for the garden. Having room to load our cooler up for the cold items, and still fit in all of our favorite purchases is a must! While this event only happens once per year in the last week of June, it is well worth planning your trip around. This 5-day event has everything you want from a balloon festival. Hot air balloons, carnival rides, carnival foods, air shows with amazing planes and pilots, car shows, and even a lumberjack competition. Its tons of fun and tickets are always affordable with one night being free to the public! Our own little taste of Heaven on Earth! Umami Ramen was a pop-up restaurant a few years ago that is now a local favorite. Whether you want traditional Pho or their amazing Loaded Wontons, this local ramen restaurant is everything you can imagine in a farm to table location. Daily specials, classic meals, and tons of options that satisfy both meat eaters and vegans, this is a favorite we have made a must-visit in our routine. This fun little stop off Michigan 66 right outside of town is a favorite in the summer months. Station 66 has a limited menu of hot dogs, corn dogs, and a few sandwiches, but it’s the ice cream that draws locals. Serving up unique flavors, sundaes, and milkshakes, this place is cram packed with business throughout the summer months but especially on weekends. 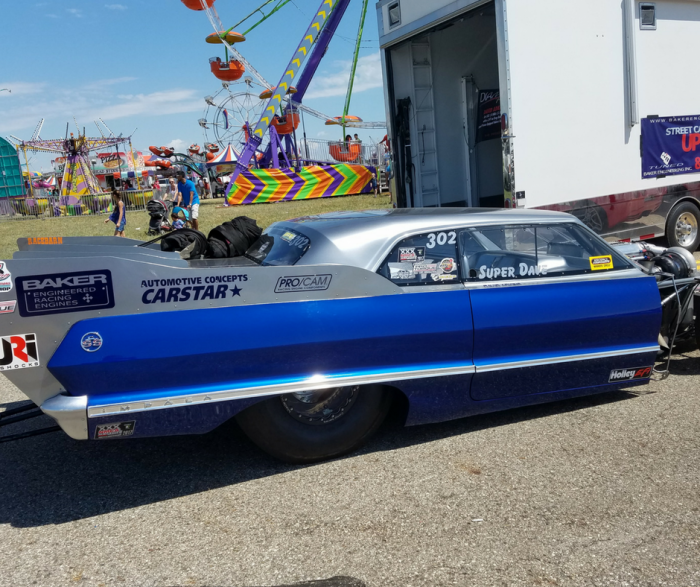 They also host regular car shows, barbecue cookouts, and even more to keep the family happy and having fun! The real appeal to this downtown restaurant is that it is housed in a converted train station. The older decor and train station building make it a fun stop for anyone. The food at Clara’s on the River is a bit underwhelming at times, but their Sunday Brunch is worth visiting for the variety and price. We’ve enjoyed a fried fish plate, steaks, and sour cream enchiladas in the past, but feel that the real appeal isn’t the food but the views and the unique history behind the building. Our personal favorite spot for date night is Nina’s Taqueria off Capital Avenue and looks like your average Mexican restaurant. While it isn’t 100% authentic, it does have a wonderful array of tacos that have the street taco flare we both love from taco trucks in San Diego. Their rice is the best in town, and if you drink alcohol, our friends say their margaritas are amazing. We tend to stick with our favorites, but the chicken tamale, fajita plates, enchiladas, and tacos are all well worth trying! If you want classic diner food, look no further. Homespun Restaurant is open for breakfast and lunch throughout the week. Their claim to fame is the made to order classic breakfasts with tons of omelet options and great biscuits and gravy. While some of the food is just basic frozen foods that have been heated up or dressed up a bit for your plate, their omelets are made to order and large while also being cooked to perfection. It’s definitely a favorite breakfast spot. Ask for a side of bacon and make sure to check out their pancakes if you prefer a sweet breakfast. Light, fluffy, and homemade, they are a great addition to your visit. If you are planning a visit to Battle Creek, Michigan, we hope you’ll stop by some of our favorite places. 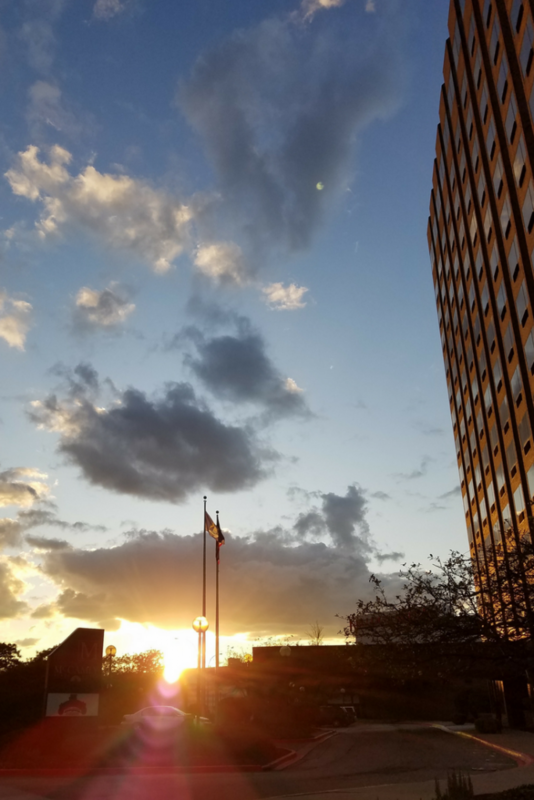 This unassuming city may not be on a traditional vacation radar, but with the location only an hour from the state capital, Lake Michigan, or thriving art community of Grand Rapids, it is a perfect place to come visit and make home base on your tour around the state of Michigan.